Shopping at IKEA can be fear inducing--especially when you're carting around a small horde of children. The store is so big and there are so many things to look at; so many things that can be touched or broken. Thankfully IKEA has plenty of things in place to make shopping as painless as possible--you might even enjoy it. 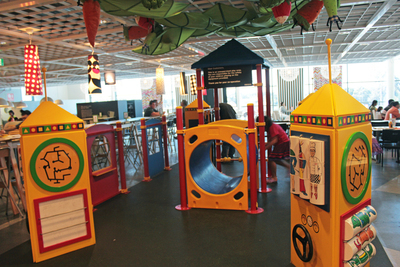 One of the first things you'll see when you walk in is the supervised play area. It's completely free to use. You can drop off kids between the ages of 3 and 7--as long as they're toilet trained--and have more time shopping by yourself. This is a great idea if you're planning on spending a lot of time browsing through the showrooms. 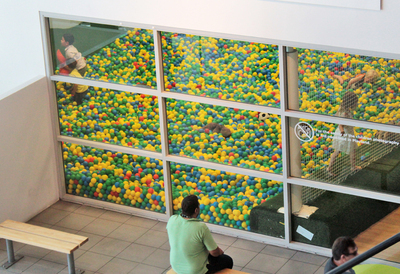 The play area has quite a few of the IKEA toy ranges as well as a giant ball pit. 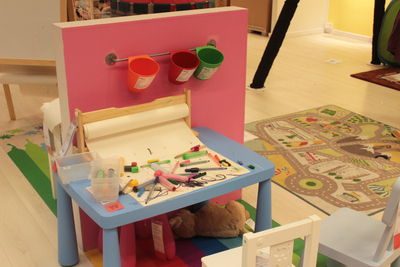 The showroom section of IKEA can be a little full on for younger kids. You might want to leave the long meandering wanders for days when you're not bringing the kids along with you, but if you keep an eye out for shortcuts you can make through to different sections. Kids will like the opportunity to pick out their new bed or desk, but they're less likely to be enthused over coffee tables and kitchen cabinets. Of course the most fun comes from the kids section. 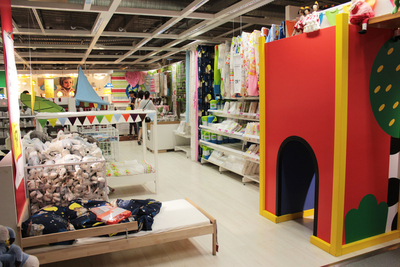 Here you can pick up toys, furniture, bed linen and more to deck out your their rooms. Kids are actually encouraged to play. There's a small tunnel that gives kids their own private entrance--and of course there's a larger entrance for adults. Kids can pick up toys, test out chairs, or even sit down and do some colouring or play with a train set. Everything is bright and colourful and there's definitely a bit of excitement in the air when you enter the kids zone. The IKEA restaurant has kids meals for less than $5; during the school holidays there are often deals where kids eat free during the week. It's always a good idea to keep an eye out for specials. If you have a baby who is still on a bottle there is bench space and a microwave so you can feed baby too. If the kids finish eating before you, there's another play area that's part of the restaurant. IKEA think about kids at pretty much every step. 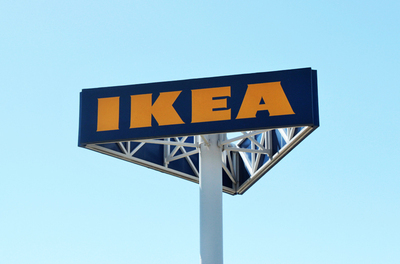 There are definitely ways for you to make a trip to IKEA more fun and less stressful. A little bit of planning means that everyone has a fun shopping experience.